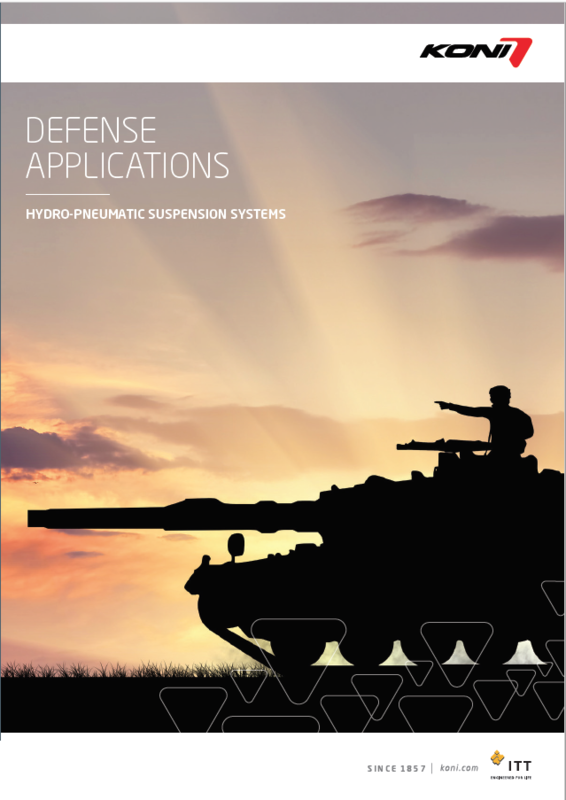 KONI’s extensive range of high performance shock absorbers are used on a wide range of commercial and military vehicles requiring high speed off road mobility. Shock absorbers can be offered for both tracked and wheeled vehicles for almost all axle weights and wheel travel. For hydraulic rotary dampers, KONI has teamed with one of the world’s leading developers of this technology for off road racing and military vehicles; Piedrafita Sport S.L. With Piedrafita’s extensive research and development capability in rotary dampers together with KONI’s industrial capacity and worldwide footprint, means this typically expensive specialist technology can be more readily available to a wider market. Hydraulic rotary dampers offer the highest level of damping capacity together with zero maintenance and high heat dissipation into the vehicle chassis. external to the vehicle chassis. 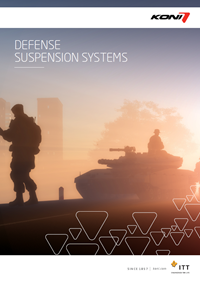 KONI together with our sister company Axtone or our spring supply partners, offer coil spring and damper assemblies for a wide range of commercial and military vehicles. Assemblies can be configured with the same interface as the Hydroride® units for the same axle applications giving the User interchangeability for a family of vehicles depending on the requirement. To protect the vehicle axle from crashing into the chassis or sub-frame normally an elastomer stop is adopted. This cushions the blow but still results in very high accelerations for high speed off road vehicles. These high speed impacts can be significantly reduced by adopting one of the KONI range of Hydraulic Bump Stops. This is a proven product adopting compressible fluid formally made by the Jarret Company and now incorporated into ITT Corporation and KONI. For these special projects, please contact our dedicated Sales & Engineering department.